Description 25 W Halo® Pulse Compression Radar System. 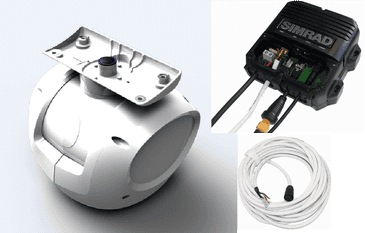 System consists of radar pedestal, Optional 3 or 4 ft antenna, 10 m (33 ft)Interconnection cable and RI-12 Interface Module. Write A Review For HALO, No Ant.